You owned a mobile phone device having an operating system "Android" but you are looking for some apps to be run on your device. Apart of these you need that apps to be the ability of searching mp3 music songs and then to download it to your mobile phone device in order to play and listen it later on your mobile? If you're looking for such an app for your android phone then I would like to inform you that you've arrived just in the right place because this post is specialized for you i.e here we're going to share few best and free apps of android that let you search and download mp3 songs on your android mobile phone. Formerly, people were downloading songs on their computers and then transfer to mobile phones after converting from one format to other but nowadays the raise in technology changed the process and made the process very easy. Now mobile networks start supporting high-speed data and Wi-fi networks so you can browse directly on mobile phones, In addition you can even convert and download videos directly on any mobile. Before we start revealing the list of best apps for mp3 downloads on android, I'd like to remind you that we've a few posts back, shared some youtube video downloaders for android which was quit interesting for our readers. We also shared some internet tools that let you download FB videos on Android. 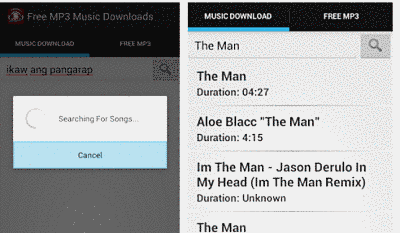 Free Mp3 music downloaders are here that let us search and download songs on our android mobile phone, Here is the list of best and free to choose from. Pick-up the one you think is best for you from the list give below. This is not as popular and most used as the above but doing their job very well. It features an ease-of-use interface. Downloading mp3 songs using this app is very easy. 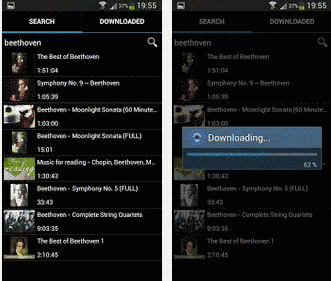 You can easily search for a song and can download it easily and faster than others!. Download this from here. 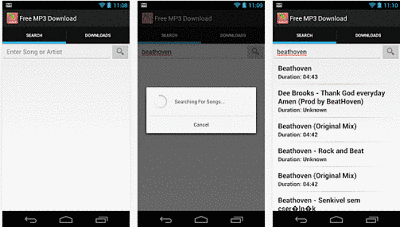 Yet another best and free android app and mp3 song downloader, allow you to search for songs on the public search engine on the web, play online, save to your mobile, set as ringtone, edit the song and ringtone, search for lyrics etc. Download it from here. 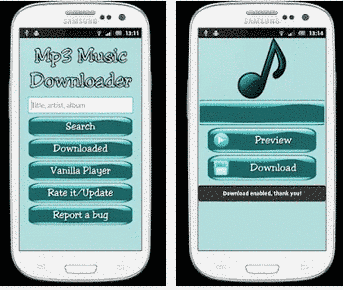 Free mp3 download is just another awesome and useful app for your android phone. It allow you to search and download free music for your mobile phone to play it later on your mobile phone without having access to the internet. Download it from here. So dear readers! 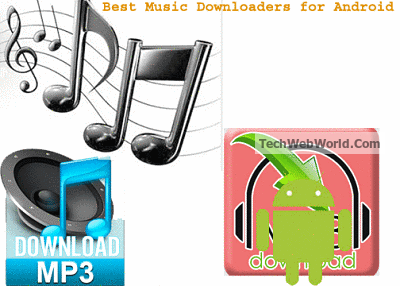 Above we've shared the list of best and free android apps and mp3 downloaders for your mobile phone. Hope these were useful for you. Now please share our post on your social profiles and spread our voice.